I have had a late start this Monday.....too many things on my mind. Today, I have something to share from my inspiration folder! 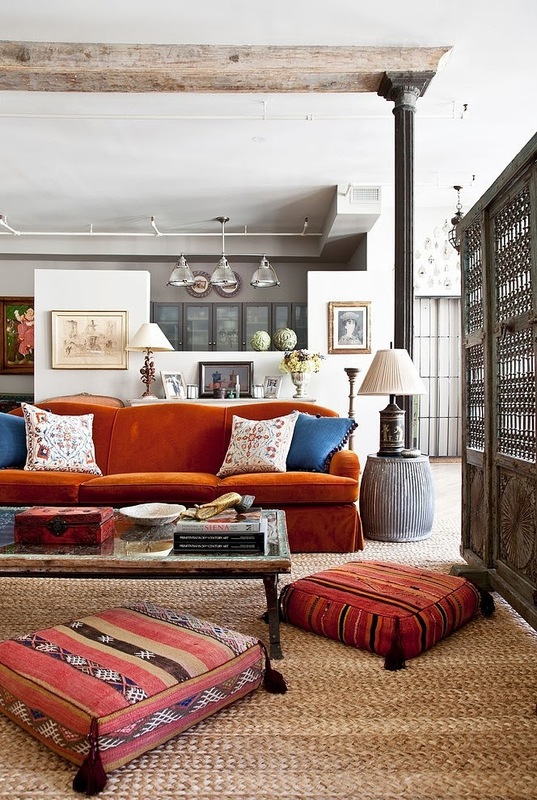 This Tribeca loft designed by Deborah French Designs has all the eye candy I need to kick start the week:) The designer has woven together different styles in a very captivating manner. 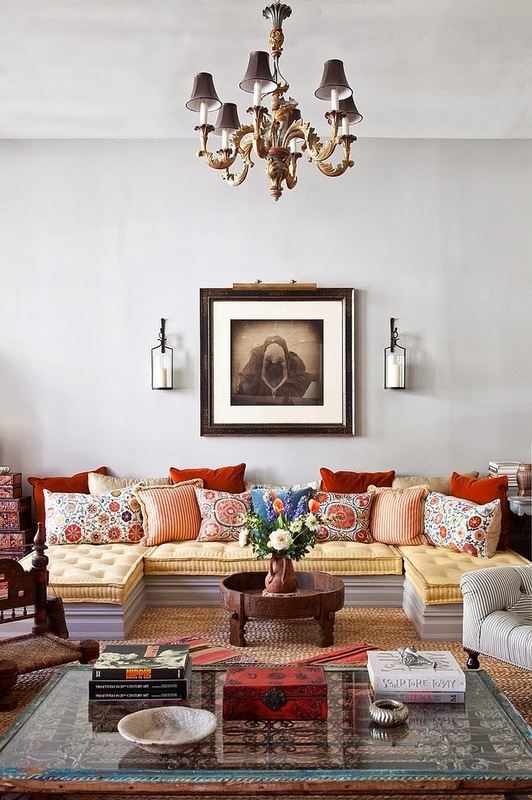 It has a eclectic mix of textures and colors. 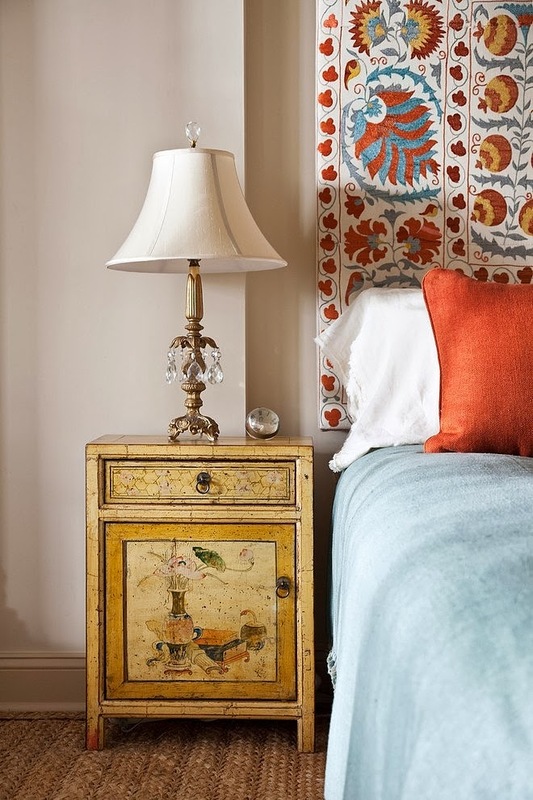 With a collection of things from Italy, Morocco, India, France, China, America, Afghanistan, and Africa, she has created an environment that is warm and welcoming and at the same time sophisticated and elegant. 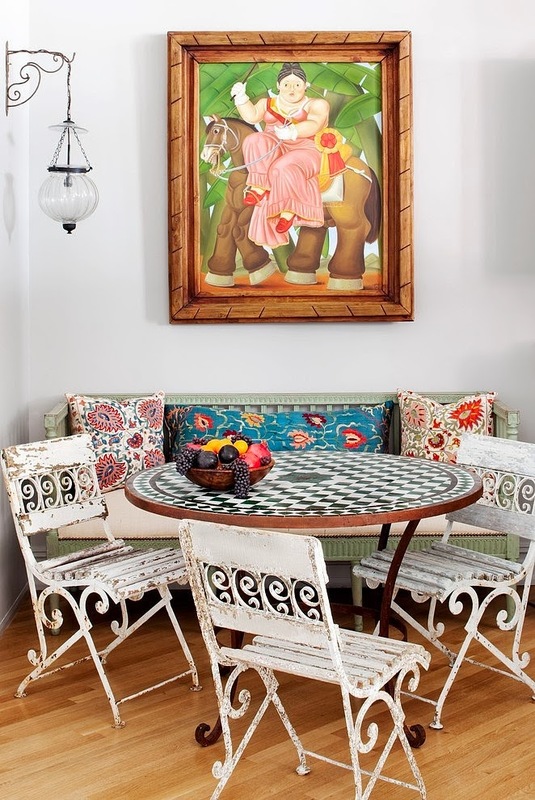 The throws, furnishing, the artworks on the walls, furniture... all too good! Lovely home this! Beautiful pics of then interior.